The journey to and from school provides a good opportunity to introduce walking and cycling into a child's day, or to increase confidence in using public transport. Walking, cycling or riding the bus together can give you valuable time with your children without the distraction of driving and parking, and can help children control their weight and blood pressure, as well as performing better at school. There are three primary schools within walking distance of Woodside. 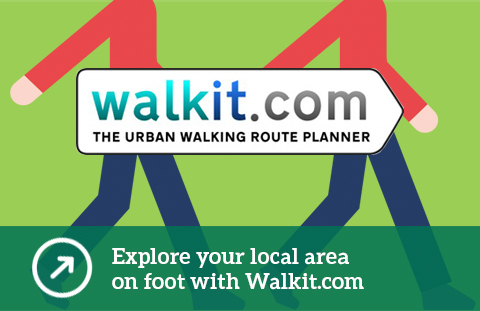 Walkit.com has been used to plan the quietest walking routes to each of these schools. The range of journey times below relate to fast and slow walking speeds. These routes are shown on the map. There are two high schools within cycling distance of Woodside. On busier roads children can walk with their bikes on the pavement if they are not yet confident on the road. The quickest route to Garforth Academy is 14 minutes via Leeds Road. Using quieter streets and off-road paths the route takes 25 minutes. Brigshaw High School is a 10 minute cycle. Go to cyclestreets.net to plan your cycling route from Woodside to your child’s school. Riding with your child is a good way to get exercise for yourself and accustom children to cycling on roads. Advice on cycling with children of primary school age can be found on the Cycling UK website. All of these criteria are based on different ages and which school you attend, so check out the school transport page of the Leeds City Council website to see if your child qualifies. To get to Garforth Academy you can catch the 174, 175 or 175A from Leeds Road and alight at the junction of Selby Road and Leeds Road. The door-to-door journey time is less than 20 minutes. To get to Brigshaw High School or Great Preston Church of England Primary School you can catch the 163 or 166 from Gibson Lane and alight at the stop opposite school. The door-to-door journey time is less than 20 minutes. There is also a school bus service from Gibson Lane to Brigshaw High School. The service leaves Gibson Lane at 08:01 every school morning (arriving at school at 08:10) and leaves school at 15:15 in the afternoon (arriving at Gibson Lane at 15:24). More information is available at on the Generation M website.